Florida Real Estate: Waterfront Tequesta Home For Sale! Come to sunny Tequesta and live on the water in envious North Passage! 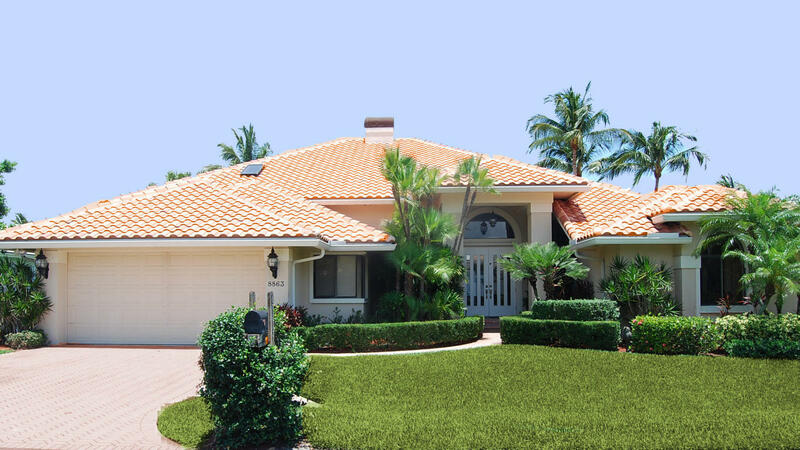 Located on the Loxahatchee River with only minutes to the Jupiter Inlet and Atlantic Ocean. This beautiful custom built home offers fifteen volume ceiling with open and bright floor plan, recessed lighting and two large skylights for additional natural lighting. This three bedroom, three bath home boasts almost three thousand square feet of perfectly appointed living space. The gorgeous, grand, double door entryway with glass inserts and marble foyer, views the large seamless glass windows to the tropical landscaped backyard and waterway. Neutral colored twenty four inch diagonal laid porcelain tile with ultra-thin grout line throughout the main living area. Resident's of Tequesta have fine dining, shopping and entertainment just a few minutes away at the Harbourside Shops. Residents should also get ready for the return of the farmers market, which will kick off Oct. 25 and run through April. More than 50 vendors will be selling fresh vegetables like sweet potatoes, beets, carrots, squash and more, as well as smoothies, handcrafted cheese, jams and coffee. Among the other activities to look forward to are weekly yoga and Tai Chi sessions, an exotic car show, live music and movies.